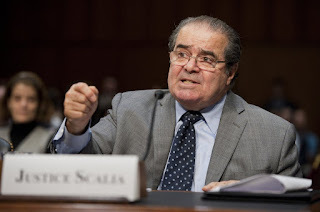 On February 13, 2016, Associate Supreme Court Justice Antonin Scalia passed away at the age of 79. Justice Scalia was well known for his conservative views on a number of issues, including a skeptical view of class action litigation. President Obama has yet to nominate a replacement for Justice Scalia’s spot and Senate Republican have said that there would be no confirmation hearing or vote on any Obama nominee. As such, the nine member Supreme Court is likely to be reduced to eight members for the foreseeable future. With an eight member Court, voting ties are increasingly likely on a number of closely watched cases facing the Supreme Court this term. A split decision upholds the ruling of the lower court. Such uncertainty at the Supreme Court has already led at least one company to settle rather than face eight member Supreme Court. On February 26, 2016, Dow Chemical Co. agreed to pay $835 million to settle an antitrust suitpresently pending before the Supreme Court citing “[g]rowing political uncertainties due to recent events within the Supreme Court and increased likelihood for unfavorable outcomes for business involved in class action suits have changed Dow’s risk assessment of the situation.” Carter Phillips, an attorney who represented Dow before the Supreme Court noted that he had several other cases in the Supreme Court pipeline that could be similarly affected. · TysonFoods, Inc. v. Bouaphakeo: The Court has been asked to decide whether differences among individual class members may be ignored where liability and damages will be determined with statistical techniques that presume all class members are identical to the average observed in a sample. · MicrosoftCorp v. Baker: The Supreme Court will consider whether a federal court of appeals has jurisdiction to review an order denying class certification after the named plaintiffs voluntarily dismiss their claims with prejudice. · Spokeo,Inc. v. Robins: The Court has been asked to decide whether Congress may confer standing upon a plaintiff who suffers no concrete harm, and who therefore could not otherwise invoke the jurisdiction of a federal court, by authorizing a private right of action based on a bare violation of a federal statute. Facing the political uncertainty surrounding the Supreme Court Dow’s decision to settle rather than litigate may be a sign of things to come. Faruqi & Faruqifocuses on complex civil litigation, including securities, antitrust, wage and hour, and consumer class actions as well as shareholder derivative and merger and transactional litigation. The firm is headquartered in New York, and maintains offices in California, Delaware and Pennsylvania. Since its founding in 1995, Faruqi & Faruqi has served as lead or co-lead counsel in numeroushigh-profile cases which ultimately provided significant recoveries to investors, consumers and employees. Timothy J. Peter is an Associate in Faruqi & Faruqi’s Pennsylvania office and focuses his practice on complex civil litigation. Mr. Peter has represented plaintiffs in consumer, derivative, securities and whistleblower cases. His successes include a $25 million class action securities settlement in which participating class members will recover over 65% of their losses.